FACING THE DAY Rose Shannon, left, had such problems at school that her mother, Jennifer, was inspired to write a workbook. When Rose Shannon was in sixth grade, she spent recess hiding in the bathroom. Getting sweaty in PE and eating lunch in front of her peers were enough to make her panic, and she was sure her friends were gossiping behind her back. She once broke the strap of her training bra just so she'd have an excuse to go home. "I just couldn't face all those kids on the blacktop," Rose tells me recently. "The black top became the focus of all my fears." Her bright smile and casual demeanor belie the tale she's telling me—a tale all too common among prepubescent and teenaged kids—about feeling painfully awkward and shy in social situations. Her mother, Jennifer, a therapist with 15 years of experience, had been counseling patients with social anxiety disorder for two years. By the time Rose hit seventh grade, she told her mother, "I'd rather die than go to school today." As Jennifer searched for books about social anxiety that would appeal to her daughter, she was shocked to find that there were none, despite the fact that it's the most common anxiety disorder and the age of onset is adolescence. "So I started writing a book proposal immediately," Jennifer tells me on a recent morning, as we sit in her cheery office on College Avenue. A slim woman with short cropped hair, Jennifer has quick-to-light eyes and a calming presence. Her book, The Shyness and Social Anxiety Workbook for Teens, was published last June and is currently No. 2 on Amazon for Teens. The culmination of nearly a decade of work, the workbook is based on cognitive-behavioral therapy (CBT), an action-oriented, evidence-based collaborative therapy. Instead of talk therapy, in which client and therapist often spend hours (sometimes months, years or even decades) hashing out the particulars of one's past, CBT is focused on the now. This is not the lie-on-the-couch-and-whine-to-your-analyst-like-Woody-Allen kind of therapy; CBT is more like walking over hot coals. "While your past may have fed and contributed to your anxiety, what's maintaining it are the distorted beliefs that you have," explains Jennifer. Rose, for example, thought other kids didn't really like her, which led to feelings of nervousness and depression, which in turn led to wanting to avoid school altogether. "Like vampires, these thoughts will live forever unless they are exposed to sunlight," writes Jennifer. "To really change the way we think, we need to purposely experience what we've been avoiding. We need exposure." Exposure means doing exactly the things that make you feel anxious. Even though Rose switched schools to have a fresh start, it was performing small, daily exposures that eventually lessened her anxiety. She started by asking friends for their email addresses. After finding that they were more than happy to comply, she slowly climbed her "exposure ladder" by doing things that made her even more anxious: calling friends on the phone or sending texts without rewriting them to perfection. By her junior year of high school, she'd made friends with "the cool, interesting kids" she'd always been afraid to talk to. 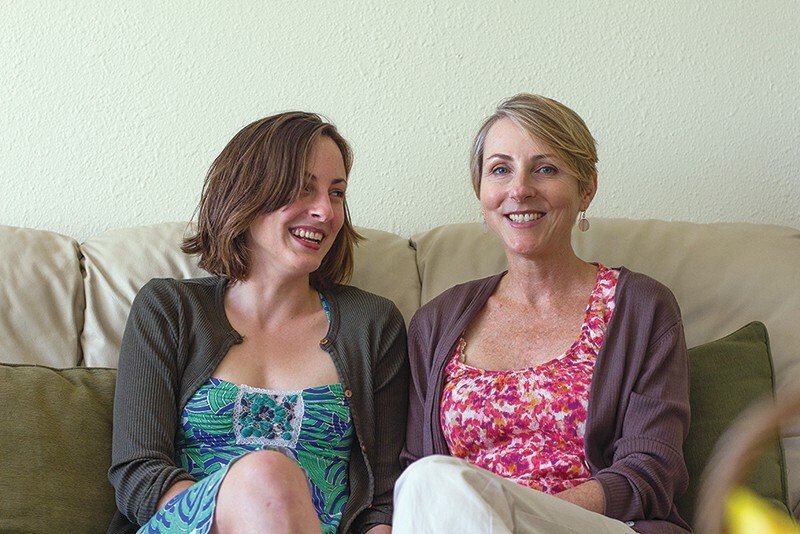 "This kind of therapy is more fun," says Jennifer, "because I get to see change. CBT is about what you can do now to change patterns so that you can lead a more fulfilling life." In 2009, Jennifer cofounded the Santa Rosa Center for Cognitive-Behavioral Therapy, where, in addition to social anxiety, she and her colleagues treat people with obsessive-compulsive disorder, depression, phobias and insomnia. Because of its potential to put clients in distress (exposures are no picnic), many therapists are afraid of practicing CBT, which may help explain why it is still so underutilized. Its effectiveness may also dissuade therapists who would prefer to have long-term clients (although insurance companies love the lower-cost treatment). Illustrated with funny, whimsical drawings (courtesy of Jennifer's husband, Doug, a freelance cartoonist), The Shyness and Social Anxiety Workbook for Teens is less a tome and more a call to action. Using realistic characters and scenarios, each chapter introduces a new concept (disastrous distortions, avoidance behavior, exposure ladders) and provides interactive worksheets to help readers understand their own thoughts and behaviors. By the end of the book, Jennifer encourages us to do the unthinkable: purposefully embarrass ourselves. Why? Because only by "leaning into our fears and putting ourselves at risk"—not popping a Xanax or downing a beer—will we overcome our social anxiety. Nearly a decade after hiding from social situations, Rose now embraces them. After going to a small Midwestern college for a year ("I made the best friends I've ever had! "), she decided to pursue a more hands-on education, WOOF-ing her way around Washington and Hawaii before returning to Santa Rosa a few months ago. These days, she tells me, she's the one who almost always initiates friendships, practicing Jennifer's three strikes rule—reach out to someone at least three times before giving up. "I have confidence now," Rose admits. "Learning CBT was easily the best thing I've ever done for myself. Without that gift from my mom, I'd be a mess."